« Recruit » Armour parts. 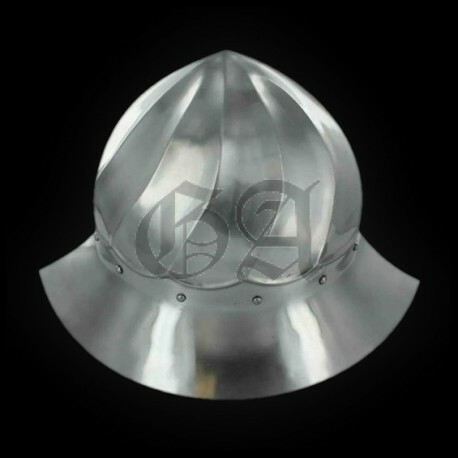 Ideal for crossbowmen, billmen and halberdiers who wish to go to battle with a protective but also very comfortable helmet. 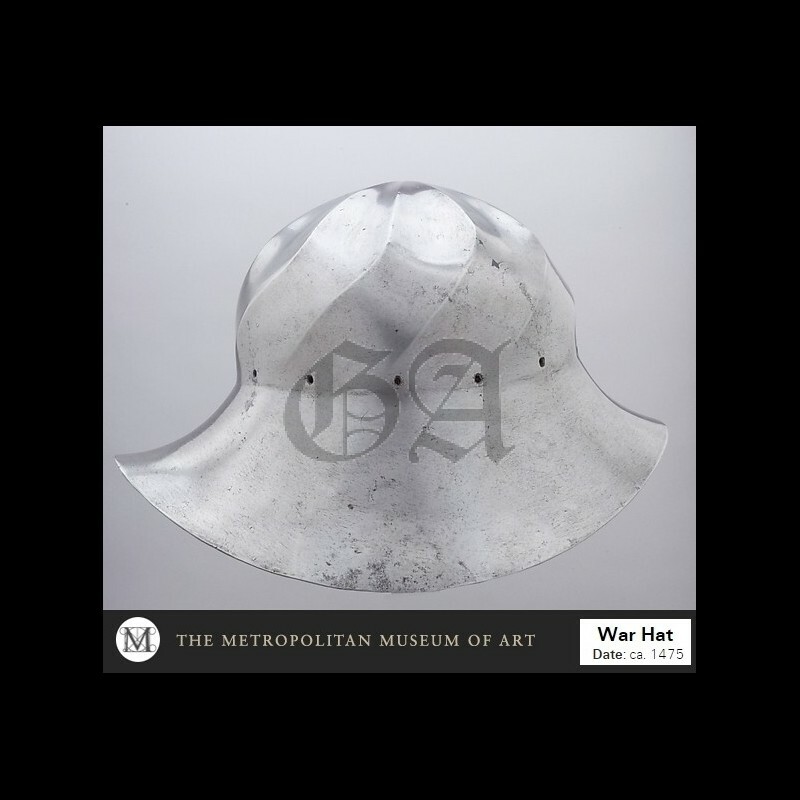 This splendid kettle hat, typical of the second half of the XV century, is directly inspired from an original currently kept in the Metropolitan Museum of Art. 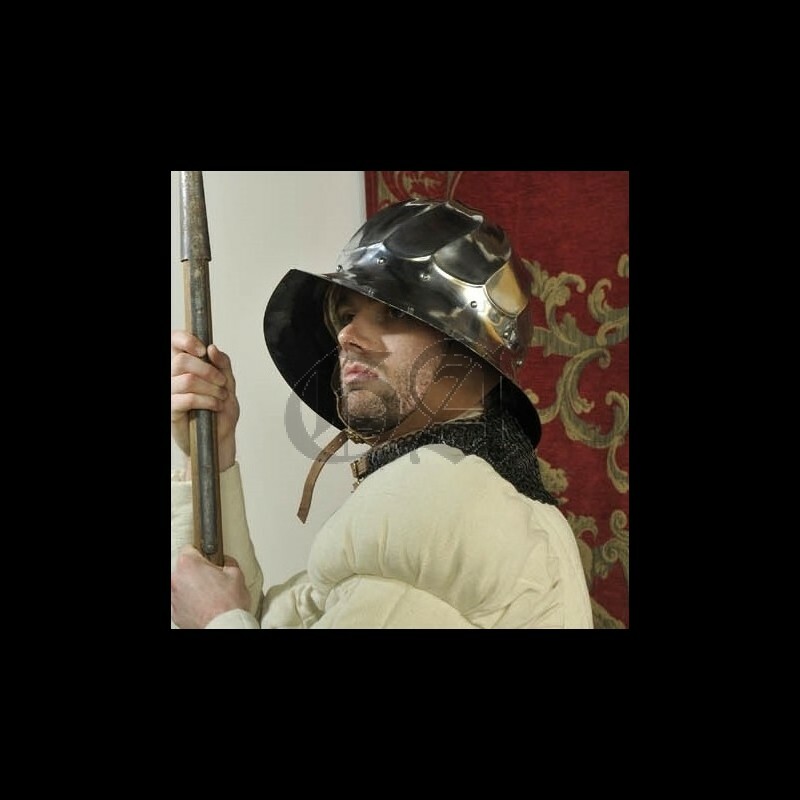 It was also much appreciated by men-at-arms fighting on foot and perfect for parades, defiles in town, equestrian games, rossfechten and all the activities requiring an elegant helmet that do not hamper the view. 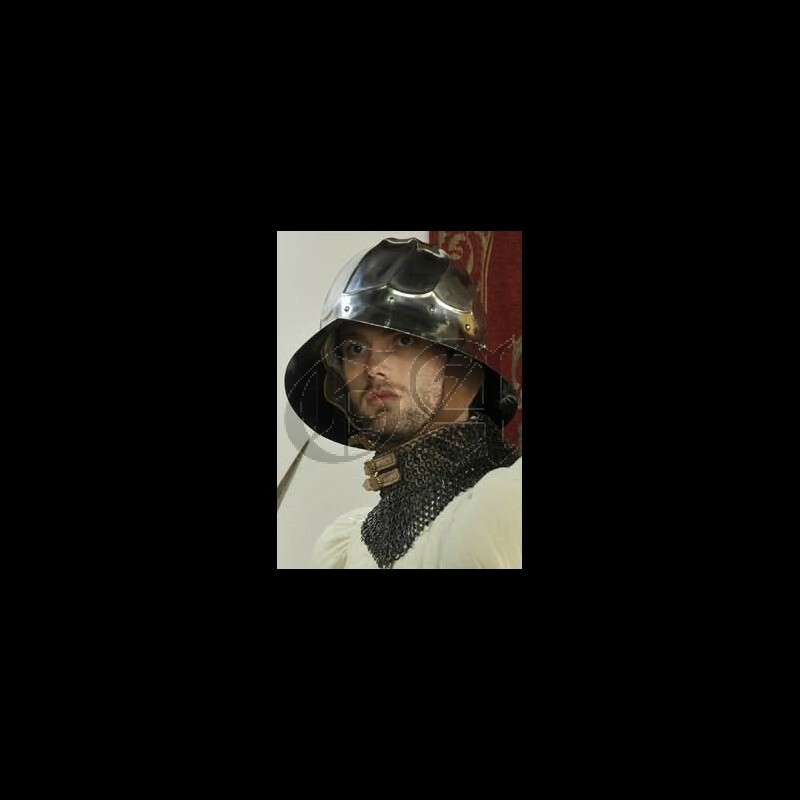 In the miniatures of the famous King René Tournament book, this type of helmet is worn by standard-bearers, pages and assistants. But it can also often be seen on miniatures depicting real battles. 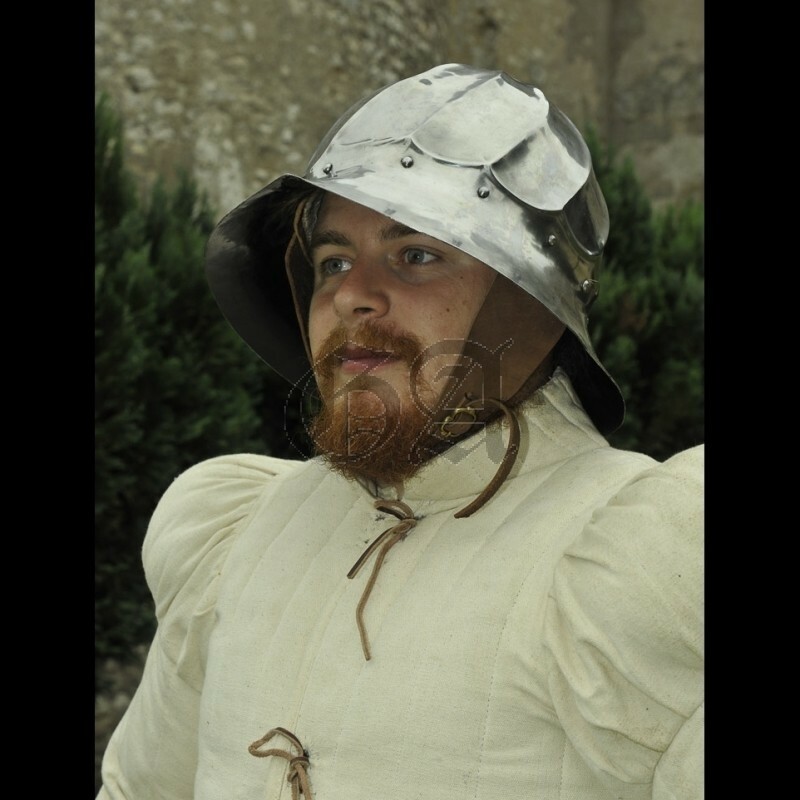 Helping beginners reenactors is one of the main missions that Gabriel Armoury has chosen. 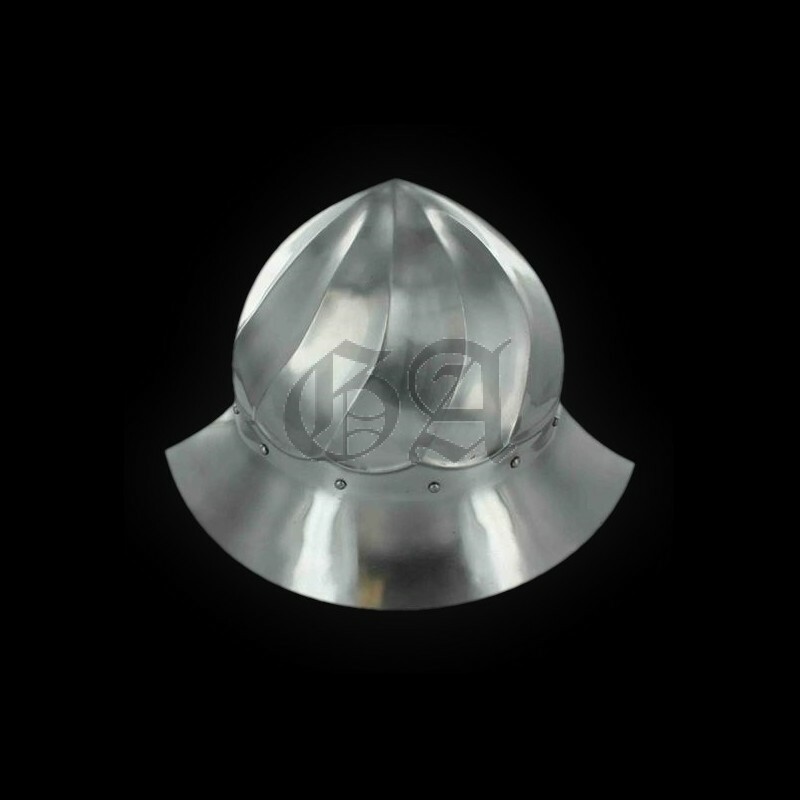 It is with this militant spirit that we have taken the risk to share our research and chosen to produce one of our helmet is serial at a very kind price. 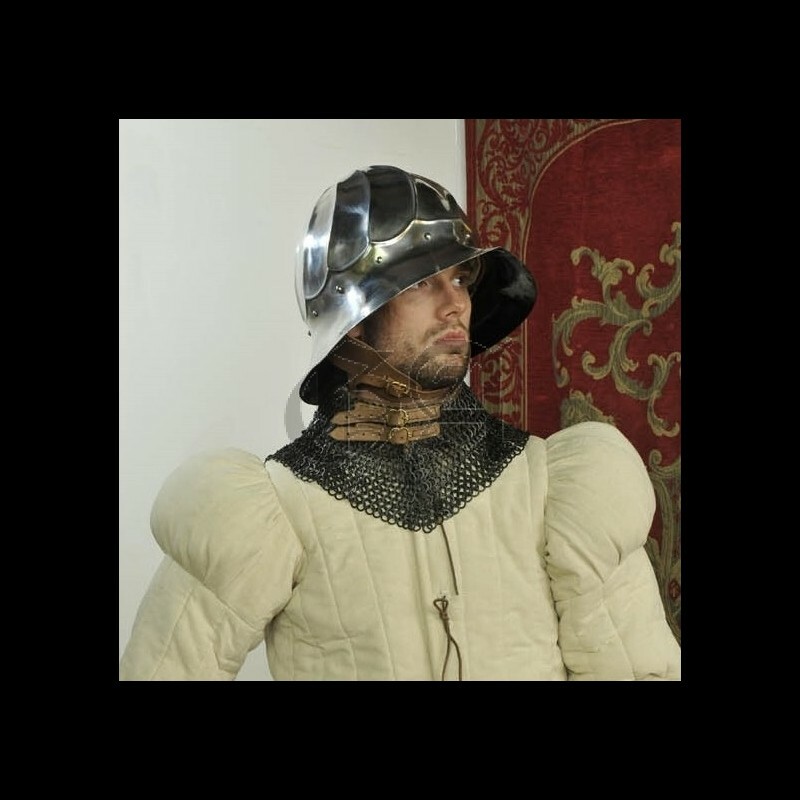 Comes with our historically accurate "Gabriel Armoury" padding, that you will not find elsewhere.